Booking Info – Talking about inquiry… how about inquiring about some best of the best PD? 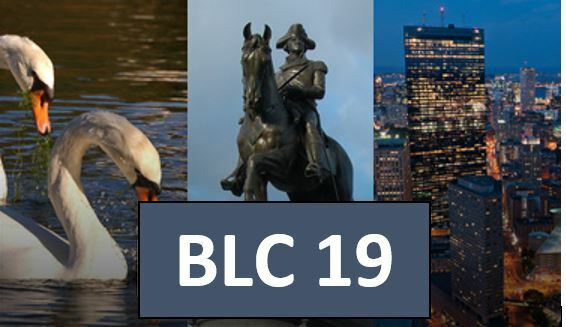 I will be at Alan November’s BLC19 in Boston (July) presenting workshops and sessions to support educators and students. Checkout my conference half day workshops: Making Makers Mainstream and Project Based Learning Quick Start. The internet is an amazing place filled with a wealth of information. 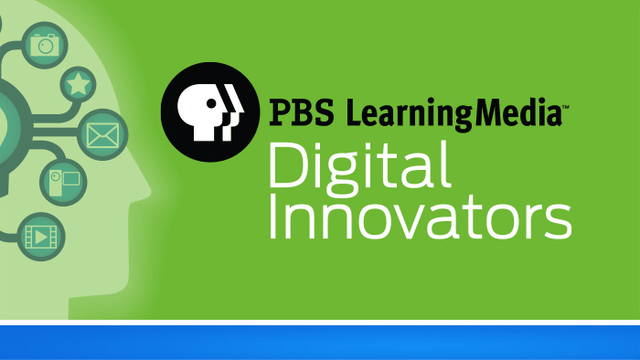 In fact, there is so much information, students must be given the skills on how to search and evaluate in order to utilize the amazing treasures that can be found in an ever running faucet of information. 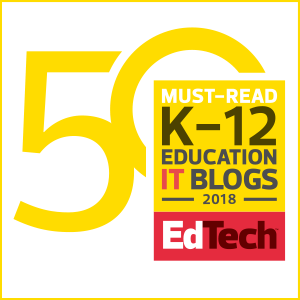 While skilled researchers have developed metacognitive skills in order to prepare for their encounter with their favorite search engine, this is not always the case of students in the classroom. Instead, I wish to discuss the strategies that are important to research before a student enters that first keyword in the research portion. 1. Design the Question – As a teacher, it is important to understand the purpose of the research activity. This helps in designing the research question that is to be used. Is it a question with a definite answer …or is it one that is open ended? There is a big difference between the two as students are facilitated through the process. A simple research question (What elements make up water?) may be easily answered through a search engine. In this case, there may be minimal time spent on pre-search, with an emphasis more on web page evaluation and search strategies. On the other hand, it may be the question is more open-ended… (Is there enough safe drinking water in the world?). In this case, there may be a need for pre-search strategies , although even simple questions can also be served by some pre-search activities. 2. Emphasize The Need To Know – To begin we must understand that research really does involve student inquiry. Perhaps before answering a question… we ask students to ask more questions. Often this is called the “Need To Know”. A good open ended question that drives research does not always have a clear and precise answer. In other words, it may not be Google-able. Instead, students might ask “Need To Know” questions that can be answered through a simple search. It may also lead to more questions, allowing for divergent learning. Teaching students to first ask great questions might be more important than starting the task by finding answers. Even in a closed question, (What elements make up water? ), students may have to answer the question (What is an element?). This emphasizes the related topic below. 3. Clarifying the Question – Often students do not even understand the question being asked. In this case, the question needs to be simplified. There may also be a discussion needed allowing students to clarify the question. This may involve the ” Need to Know” described above. It may also necessitate that students break down the question and get definitions to words being used in the question. This might facilitate the need for students to find synonyms, antonyms, and associations… before diving into the search. It could involve a mini search, where definitions are found for word meaning. In this manner, students find success at researching manageable tasks. This can be especially powerful when students are allowed to collaborate together seeking the answers. 4. Creating Student Journals – Educators must encourage students to keep a road map of their pre-search journey. It might include wonders, words, definitions, reflections, and “Need To Know” questions, This can be done using a reflective journal. One might ask students to write entries to reflect on their research journey activity. The teacher might develop a rubric that uses components of critical thinking. These components of critical thinking can be discussion prompts in the student journal. 5. Defining the learning goal/target – Please remember that asking questions, pre-search, and research is a process. While the end goal is to try to find an answer, remind students they may run into more questions first. It is only through this process that real learning takes place. The focus must be on the process and not the answer. This has its formation in the pre-search and questioning time period. If there is no pre-search time or time of questioning given… possibly the end product has become more important than the process. I wish to build on the steps outlined in this post with practical ideas. I would like to introduce some tools that can be used to help facilitate the pre-search and question asking period of time with students. By understanding the need for pre-search and inquiry one can see how these tools, some of which you may already know, can be used in a different way to help students as they get ready to research. Please enjoy the tools and let me know of other that I can include in a future post. The online dictionary is available wherever there’s an internet connection. Wikipedia’s articles provide links to guide the user to related pages with additional information. These links can be powerful at providing insight into the search and possible information. There are words in a Wikipedia article can be recorded as possible keywords for a future search. As students record these words they may also wish to figure out meanings with a simple Google (define:) search. The Wikipedia end of article sources can be invaluable in the research and search process. 3. Wordle – This website allows for the generation of “word clouds” from the text that is provided to it. These clouds give greater prominence to words that appear more frequently in the source text that was input. Students can tweak these word clouds with different fonts, layouts, and color schemes. One pre-search strategy would involve placing an article on a topic into Wordle… perhaps from Wikipedia. Once the common words are eliminated the word cloud is made. This is now a great time to discuss and investigate words that are more prominent. Could these words be valuable in the research that will take place? 4. AnswerGarden – This site is best described as a minimalist feedback tool that is easy to use in the classroom. A teacher can create an Answer Garden by entering a topic on the Create New Answer Garden-Page. From there you will be redirected to your newly created Answer Garden Website. Since no-one has posted an answer yet, your Answer Garden will still be empty. The next step is to share your Answer Garden URL. Use it live in the classroom, to pose a question, or place (embed) your Answer Garden on your classroom website. A Driving Question could be posted with a request that students post their Need to Knows. There are countless possibilities. All student feedback is then represented in your Answer Garden. One neat feature is to be able to export the feedback into a Word Cloud using Wordle or Tagxedo! Imagine the possible reflection and discussion that can spark great research. Write some text in the text area, use the TAB key to indent text lines, and click the “Draw Mind Map”-button to see what happens. Each text line in the text area will become a separate node in the mind map. Indenting the text (using the TAB key) starts a new branch of nodes in the mind map. Also, have a look at the Options to style your mind map. How might your students mind map their pre-search strategies? This is a wonderful way to get students to see the pre-search and research process and all of the possible connections. It could be a part of their blueprint for that eventual encounter with the search engine. 6. Diffen – A very interesting tool that lets the user compare anything. What is the difference between DVD+R and DVD-R? What is the difference between an apple and an orange, or an alligator and a crocodile? How does the work environment at IBM compare with working at Microsoft? How does living in Seattle compare with living in Amsterdam? What is the difference between a Plasma TV and an LCD TV? How about Cal Tech and UCLA or the Yankees and the Red Sox? These comparisons might clarify some Need To Know question and also provide words that will be valuable in the research process. 7. Thesaurus – Every month more than 50 million users across the globe visit this online English dictionary and thesaurus. That makes it the world’s largest and most authoritative free online dictionary and mobile reference resource. A thesaurus is invaluable at finding words that might just lend themselves to the research process. It can open up a whole new line up of search word terms. 8. Wordsift – This is a wonderful tool for classroom use. Students can enter a word into the WordSift “box” and a semantic map appears with different synonyms for the word. It is great for those looking to find research keyword possibilities. When a user hovers over the word or its synonyms, a definition is produced. Clicking on a synonym brings up a semantic map for that specific word. Each word is accompanied by Google images that illustrate different aspects of the word. Another great way to get students brainstorming and thinking about research possibilities. A user can link from a word on the list to the same WordSift features. With just one click on a word in the list, students will get the same features, as if they had entered it into WordSift. 9. InstaGrok – This tool allows students to research a topic with an interactive map. They can customize it with facts, links, and videos. It is also possible for them to share it to show what they have learned. A wonderful way to journal the research process. 10. Interactive Webbing Tool – Students can use this interactive from Read-Write-Think to create free-form graphic organizers, They can drag ideas around in the organizer to arrange any layout and relationship that they want. They can use circle or box (rectangle) shapes to appear on the chart and each layer on the chart will have a different color border for the shapes chosen. Imagine how this can be used to show the path and process in research. 11. Fishbone Diagram – This incredible digital tool from Classtools allows students to break down their per-search ideas and thoughts while providing details and definitions. A Fishbone Diagram has always been a wonderful graphic organizer on paper, and now it can be part of your digital toolkit. 13. Dictionary – Not much explanation is needed as to why the dictionary can be an important tool in the pre-search time period. Perhaps students need to look up a word in order to understand a question or an answer. This is just one example of many dictionaries online. 14. Google Drive (Docs) – The ability to collaborate together in the brainstorming portion of the pre-search strategy can be amplified by the ability to share digital documents. Your students can share documents, and also use Google’s drawing tools to collaborate, record, and journal their research journey. 15. K-W-L Creator – Discover another great digital tool from Read-Write-Think. K-W-L charts have been widely used to help students prepare for research by organizing what students know (K) and want to learn before they research, and then reflecting on what they learned (L). This helpful interactive tool is equipped with the work-saver functionality so that students can save their work at different stages in the K-W-L process. Users also have the ability to embed text links, giving an extra level of interaction and explanation. Booking Info – It is time to think about your school or conference needs. Are you looking for a practical and affordable professional development workshop for your school or conference? I have traveled the country delivering PD relating to technology integration, PBL, STEM, Digital Literacy, and the 4 C’s. I have delivered hundreds of workshops and presentations. Check out my Booking Page. Please contact me soon if you have an interest. I am now almost booked through August and the rest of the 2019 calendar is filling fast. In fact, it might be time to begin thinking about next January! Look for contact information at the Booking Site.